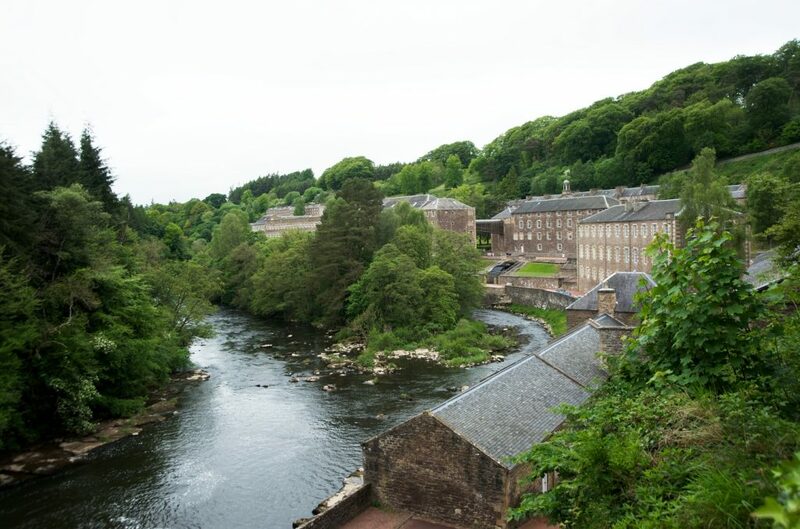 A visit to New Lanark World Heritage Site is always a pleasure, but right now it’s more exciting than ever as the next stage in the restoration of the historic mill village is now well underway. 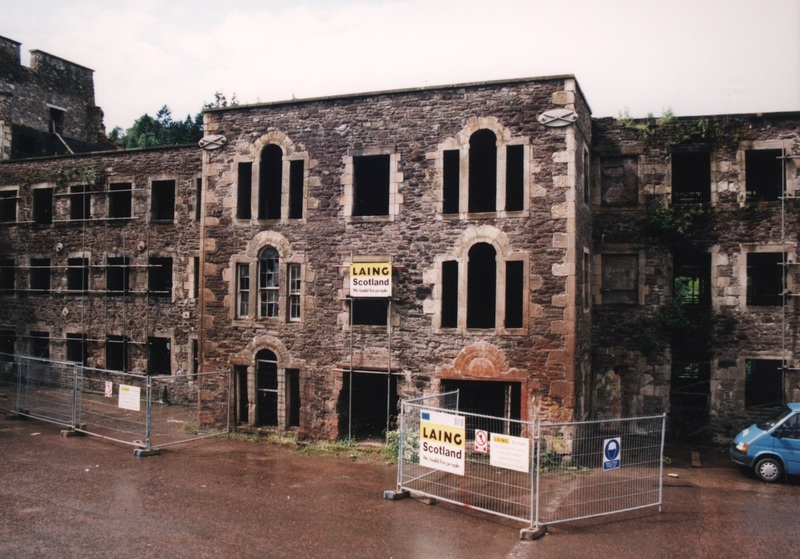 Less than 50 years ago New Lanark was in danger of complete demolition. The village and mills had fallen into disrepair and were being taken apart for the building materials. But in 1974 the New Lanark Trust was formed and the great work of saving this outstanding part of Scotland’s built heritage began. The Trust took over the ownership of the buildings and put plans in place to restore the historic fabric and turn the village into a living, working place again. Under the stewardship of the New Lanark Trust the village has become a world class visitor attraction, and, even more importantly, is a living community once again. In 2001 its importance was recognised internationally when the village was added to the World Heritage List – quite an achievement for a place that was once derelict and facing demolition! 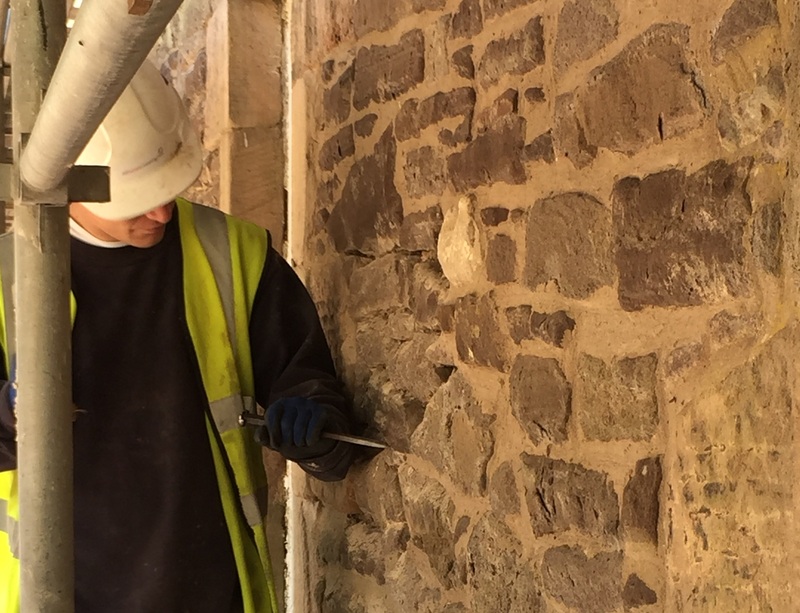 Most of the buildings in the village are listed, so the Trust have worked closely with South Lanarkshire Council and the Historic Environment Scotland casework team to make sure that any changes made to the historic fabric are appropriate and sensitive. 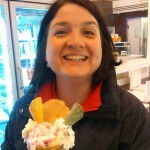 The village also shares the gorge with the Falls of Clyde Nature reserve, managed by the Scottish Wildlife Trust. Both Trusts work closely together to ensure this special landscape – without which there would have been no mills and no mill village – is well cared for. 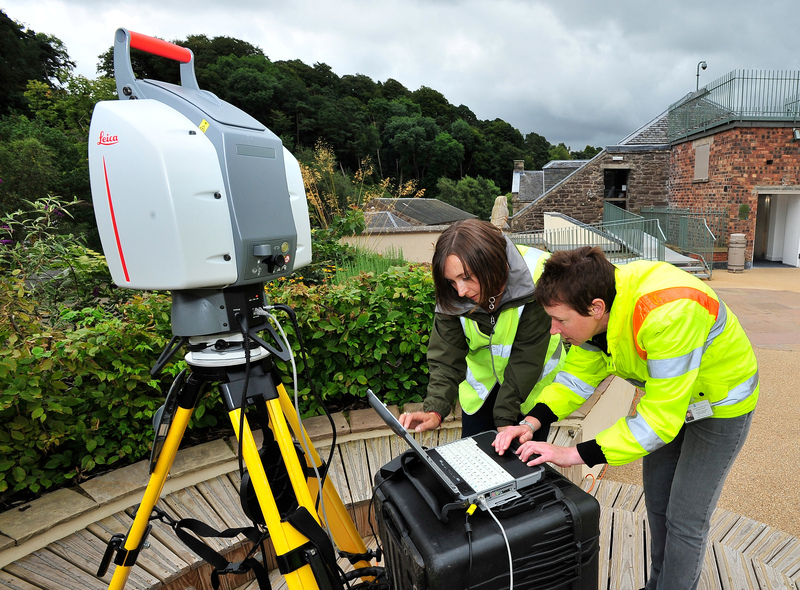 The most recent New Lanark Trust project to bring the historic Double Row millworkers’ tenements back into use is supported in part by an HES Conservation Area Regeneration Scheme award. We were lucky enough to see this work in action on a beautiful spring day. New Lanark sits in a steep-sided, wooded valley formed by the River Clyde, and there’s no better place to be on a sunny afternoon with a background of birdsong, children’s voices and the sound of running water. Along Double Row the contractors have begun the long hard task of bringing these historic homes into the 21st century. The skeleton of the buildings is now clear to see – including DIY openings made in the walls where residents had joined flats together to provide more space for their growing families. After a while, this meant that house numbers in Double Row were very hard to understand! Inside the part of the terrace known as the ‘Museum Stair’, there is a real sense of how life must have been for the millworkers when New Lanark was still a centre of industry. 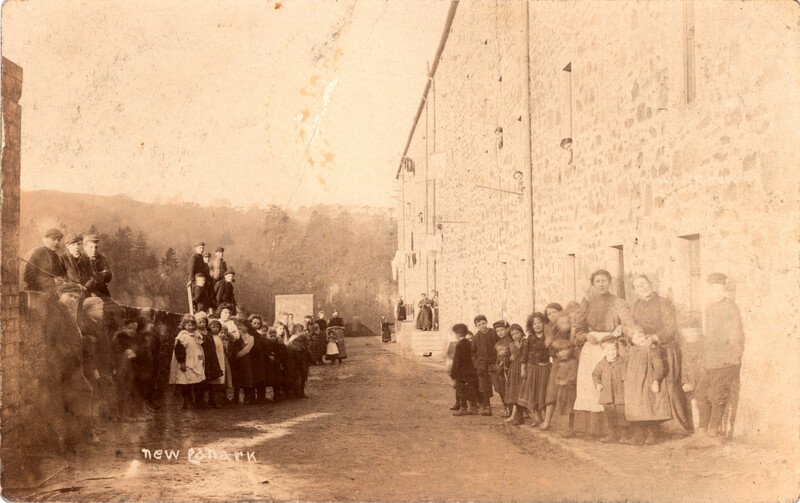 People lived in this tenement from the 1790s right up until the 1970s, after the closure of the New Lanark Mills. They left behind the evidence of their everyday lives – sinks, box-beds, original linoleum, and layers and layers of wallpaper. The original layout of rooms survives, but time has made the interiors too delicate to open them up to visitors. Instead, New Lanark Trust are working in partnership with the Centre for Digital Documentation and Visualisation (a partnership between The Glasgow School of Art and HES) who delivered the Scottish Ten project, to digitally document these rooms using 3D laser scanners so that the fragile interior can be opened up virtually for all to see. Virtual visitors will be able to peel away the layers of occupation and see how the building has changed throughout its life. This project is a great example of the difference digital documentation and virtual technology can make to our understanding of the historic environment, and let people see and enjoy what has survived, whilst allowing us to protect it for generations to come. We can’t wait to see the results of the Double Row and Museum Stair project – you can find out more at the New Lanark Trust website, or follow New Lanark on Twitter.